What if my competitor is cheating at SEO? Search Engine Guide > Mike Moran > What if my competitor is cheating at SEO? It's a question that comes up all the time, but there hasn't been a good answer to it. There are painstaking ways that you can analyze your competitor's Web site for signs of elementary cheating, such as hidden text, keyword stuffing, and other simple forms of search spam, but don't bother. The search engines do a reasonably good job of sniffing those out themselves nowadays. But what about the big time search spammer? What about someone who has set up an elaborate network of linking sites all designed to rank his site higher and your site lower? How can you catch someone like that in the act of cheating at SEO? If it is your competitor engaging in such tricks, it is a burning question. My friend Ted Ulle pointed me to an announcement last month that might help answer that question, where a partnership was announced between search tool vendor BrightEdge and the search engine blekko to combat search spam. Identify link farms. If blekko can use link analysis techniques to spot unusual link patterns coming from sites that don't make sense, they can alert you as to what your competitor is doing. They might not be able to algorithmically detect a sure spamming incident, but they might be able to identify something for you to analyze on your own. Identify paid link manipulation. Just as with link farms, competitors who buy links masquerading as free links violate the search engines' rules and are benefiting from higher rankings if undiscovered. If blekko can clue you in to suspicious patterns, you might find that where there is smoke, there is fire. Uncovering negative SEO. You might be guessing that the search engines themselves work very hard to uncover the first two abuses, which leads to an even more insidious trick. What if your competitor is setting up these spammy techniques, but pointing them at your site to get you penalized? It happens, and blekko might be able to uncover suspicious patterns to alert you. If you're thinking to yourself, don't Google and Bing try to catch all of these things? Yes, they do. But they are doing it with algorithms only—the cases that are most egregious are the only ones that get spit out for human analysts to review. They can't look at everything and the algorithms are not foolproof. If blekko's algorithms are any good, the human analysis of these possible spam problems can be "outsourced" to people willing to do it for free. It is yet to be seen exactly what BrightEdge has implemented here and just how magical the blekko algorithms are at uncovering search shenanigans. And it isn't clear how Google and Bing will respond when provided reports on bad behavior. It's possible that they will take them seriously and investigate, but it's equally likely that so many bogus reports could be generated by people using such a tool that they will be largely ignored. You can imagine a situation where anyone runs a check and then send whatever is spit out to Google, rather than using that as a jumping off point for real investigation. If we marketers use these tools to cry wolf, don't be surprised if Google and Bing quickly ignore our cries. That would be a real shame, to me, because I think this is a great idea. It's the social approach to spam. Give people the tools to police their competitors and there is a more level playing field for everyone. Regardless, I will be quite interested in what is delivered here. I'd love it if those who start using the tool would post their experiences here. And if anyone has deeper information than the intriguing press release, please post that, too. I can't help but think that this is a new front in the war on spam that Google and Bing overlooked: crowdsourcing. We'll see if it works. Just what constitutes a spam blog comment? How is Google feeling about sentiment analysis? Search engines do there best to flag and penalize sites that are using black hat SEO tactics to try to game the system, but not even Google's algorithm is perfect. This tool seems like it could really help scoop up those that slip through the cracks. I can see you concern about it being abused, however. Who is to say that a black hat practitioner won't try to get a good site penalized to keep the focus off of them. Hmmm... Interesting. I'm pro Blekko. However, as I'm sure you know, advanced search-cheaters are much more sophisticated. The battle between the search engines and black hats will always rage on. Search engines will get better at detecting lousy cheats, cheaters will develop more advanced methods of cheating, and round and round we will go. No one likes to see their competitors cheat and win. Unfortunately, except for reporting them (which is kind of a joke), there's not much you can do but stay the course. If you're "dong this right" you should win in the end. Ultimately, search engines are on a constant mission to reward those sites that have natural authority, and penalize those that are creating artificial authority. Totally agree, Gyi. 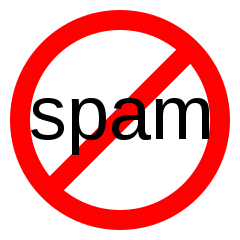 But I think that every kind of pressure that forces spammers to raise their game does two things. First it wastes their time, which means they can cause less havoc. second, it drives the less-capable ones out of the game. Both of these are good things. I remain as skeptical as you that this announcement solves the problem, but I am hopeful that it opens another front in the war. It's not just the search engines vs. the spammers anymore. Maybe we can help, too. Blackhat SEO is out there unfortunately. As stated, the search engines have got incredibly clever at detecting these bad seeds but they do slip past, more and more frequently. This looks like a decent tool, thanks for sharing. It's quite easy to find out of a competitor is purchasing back links by simply taking a look at their backlinks and a majority of very big companies do it. It's not worth my time to report every infraction to Google or Bing; I'd rather spend my time building more sites and working on my own sites. Unless a competitor is engaging in negative SEO (building spam links to my sites), I could care less if they buy links for their own campaigns. I am for it. I think one of the biggest drawbacks to the search engines is that they do not use enough "social signals or feedback" for their rankings. Rankings are too much dependent on the algorithm, which we know that is not perfect. Current Google update +1 that is going to take a place within few days or weeks is going to be a very interesting thing to see how it is going to work out. Using people's feedback in order to rank websites is something that I would like to see in the future. I am sure that Google is working towards that. Facebook and Bing is doing it. Not at the advanced level but it is going to eventually get there. The only drawback to it is that spammers and black hat SEO's are going to find a way to maniupulate the rankings. For example, they will outsource to people to put +1 to their website in order to climb up for a higher position. That being said, lets see how Blekko and a new +1 update is going to work out. Tell me about it. I have been doing online marketing for over 15 years and my first site was up and running around 1995. In the days of altavista and such. I have seen it all come and go. From keyword stuffing in the text, to meta data, heck one of the great SEO'ers of today got his start with a piece of software that all it did was stuff meta and keywords into pages. To his defense at the time it was not considered "black-hat" heck I don't even thing that term was around then. As the internet matured things that were acceptable became unacceptable, like keyword stuffing. Al the while I just wrote great articles sprinkled with the correct keywords and let the ranking fall where they may. The biggest pet peeve I have is comment spamming. I have one site that focuses on beta glucan and I have doctors, health care professionals, college professors, etc... comment on how informative the website is, yet you get these individuals who have websites, with no real good information on them, most of it is just spun articles they have stolen from elsewhere and all they do is post comments with links back to their sites and up in rankings they go. I have seen it with my glucan site and it really ticks me off. I am hoping as John has stated that the social networking sites will help eliminate some of theses issues. If your competitors are costing you money because of obvious link spam you could always just report them to Google. But in the long run, I wouldn't worry about it too much. Their black-hat ways will be found out eventually and if you are doing legitimate link building your presence will be that much stronger. Indeed. If your on the right track working with your links and it is surely legitimate, your links will come with much presence than those with others. Of course you can always report them to Google as well. Paid Manipulation is so hard to detect these days as so many people are selling links. Places like digital point have become a haven for this type of activity. Google is doing its share to combat this but much of the garbage will still make it through. I have been working on a case study regarding spam backlink and "whitehat" backlinks for the keyword "SEO Fredericksburg" I will send you a link when I complete the study so you can tell me your thoughts. Thee question is seldom asked: Why would I be threatened by competition that cheats? If we cheat out the gate, everything South of that is rotten. So they get "hits" or lots of "clicks". So what! If they have to cheat to find customers, how well are those customers treated? Cheating is a practice of those who have not yet learned that doing the right thing is the key to success. I am learning this later in life than I'd like to admit. The belief "that dishonesty works" did not find me with my "hand in the till". Instead, in the past, I've been so convinced that the sly and sneaky have advantage, that I'd just never try to do anything well. I ripped myself off by always looking over my shoulder and never really staying focused on good service and honest efforts to run a good business. The crooked are in everything. So what? There is no time to try to outsmart insanity. Just do good business and learn good SEO. I still have so much to learn. Love your comment, April. I, too, didn't cross the line, but always thought I was handicapping myself. I wasn't, as you pointed out so well.